Building muscle is a science. One weak link and your potential is, well, just potential. You need strategic training, a positive caloric intake, a boat load of water and plenty of sleep. But don’t forget the importance of a continuous supply of nitrogen; that essential nutrient from protein digestion that feeds and repairs muscle for the growth and strength gains you need. Traditional whey isolates are in and out of your system quickly, potentially leaving you in a catabolic (muscle wasting) state. This can be the price you pay with traditional isolates, but you deserve more, much more. Introducing Precision I-PLX®. Combine five different isolates, three fibers and two fat sources and you have a revolutionary protein supplement. 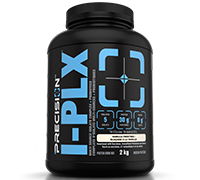 I-PLX® is the first prolonged availability protein derived entirely from pure protein isolates. Due to their varying digestive rates, this unique combination offers an expanded window of protein availability. No more catabolic down time or an excessive number of shakes each day. No more wasting of your endless and exhausting hours in the gym with inadequate fuel for repair. If that’s not enough, I-PLX® is so rich, creamy and delicious you won’t believe it’s all isolate. I-PLX® features a protein, fiber and fat complex in order to help create varying digestive rates for rapid, short and medium term protein availability. Both fats and fibre have been shown to influence gastric emptying and to slow the rate of digestion. Milk Protein Isolate — known as the slowest digesting, longest lasting isolate, derived from whole milk protein. Fats help prolong digestion and moderate the digestive process for sustained protein availability. 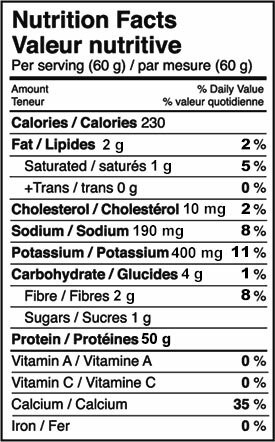 Ingredients: Whey Protein Isolate, Milk Protein Isolate, Whey Protein Isolate (New Zealand), Whey Protein Isolate (97%), Whey Protein Isolate (Hydrolysate), Fructooligosaccharides, Inulin, Chicory Root, Medium Chain Triglycerides, Flax Seed, Cellulose Gum, Xanthan Gum, Natural & Artificial Flavour, Stevia Leaf Extract, Acesulfame Potassium (96mg), Sucralose (54mg), Creamer (Sunflower Oil, Sodium Caseinate, Corn Syrup Solids, Mono and Diglycerides, Di-Potassium Phosphate, Tri-Calcium Phosphate, Tocopherols), Soy Lecithin. Suggested Use: For a delicious high protein shake, mix 2 rounded scoops (60g) of I-PLX into 250ml of water, milk, or juice.